Discussion in 'DIY' started by skem, Dec 24, 2018. Trying to build a suitable volume control for Gungnir Multibit & Soekris. 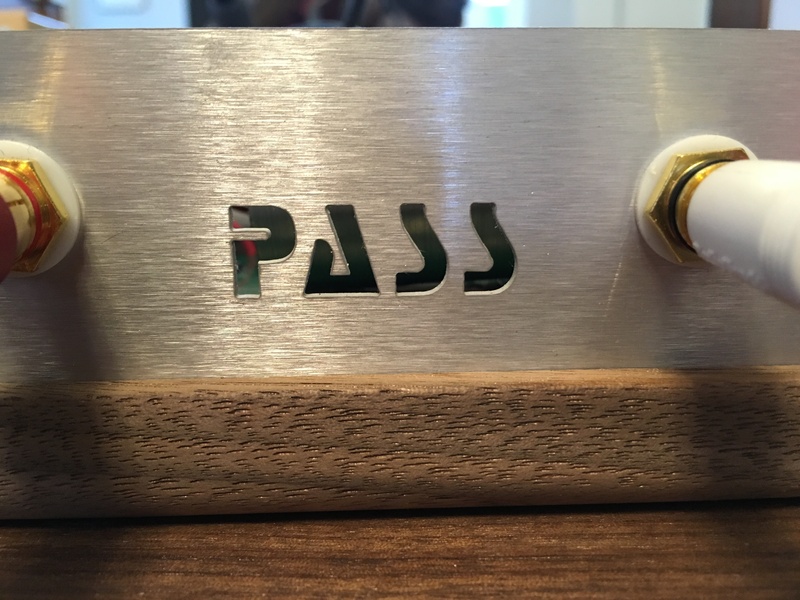 In the spirit of simpler is better, here is a high-quality build of the original Pass B1 buffer pre-amp that I’ll be testing against known-to-be excellent transformer-based volume controls. More on that shootout perhaps later this week. I chose the capacitor-coupled version rather than the more complex capacitor-free variant for circuit-simplicity reasons. After listening to a lot of fancy circuits that have virtually no measurable distortion but sound dead, I’m starting to think the phase distortion from many active components is a good reason to keep it simple. I used Audyn reference coupling caps, which I have found very good in prior projects. Resistors are low-noise metal film 1%. Pot is Alps. Power supply is a low-noise switcher in a faraday cage (and is dead silent). Also has an IR-remote control circuit on a dedicated power supply and board. Signal, circuit, and earth grounds are separately managed. Update: March 1, 2019: Frequency response results here. Jokko, recstar24, bazelio and 14 others like this. Looks great. Will be very interested to hear your thoughts. Thanks! I read the 6Moons review of it. Seems like a fun thing to play with. I have gone from solid-state, to tube, and back to solid-state in the past year. But specs on nutube seem mighty fine. Nice! How are you grounding the front panel? Panel is on earth. Connectors are isolated. You can see the little plastic discs. Today, @porkfriedpork and I listened to the Pass-designed B1. 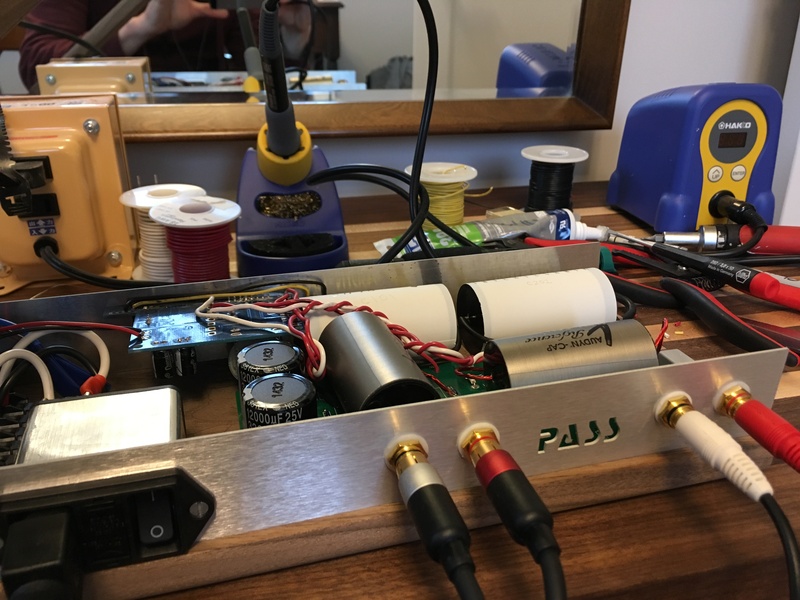 We compared it to the digital volume control on Soekris and the Django-built Silk Audio transformer-based volume control (TVC). 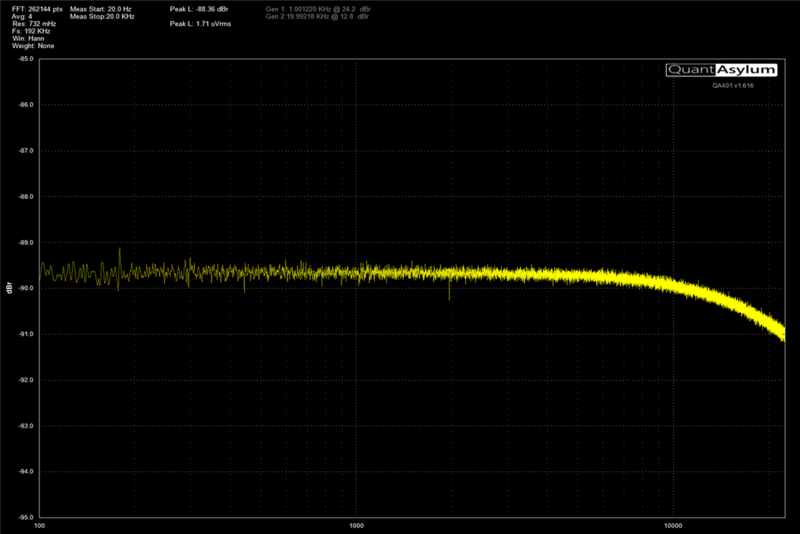 Chain was Soekris 1541-> volume control under test->Pass XA30.8->HE6 and HD800. We did not have a proper A/B box, so had to unplug cables to switch volume controls, adding seconds of delay between listening. That undermines our ability to hear subtle differences. Let me start by saying these are all VERY close. Porkfriedpork says they were the same within the margin of error. I felt there were differences, but most times I heard a difference it would disappear on my next A/B. Overall, I’m fairly confident the Django TVC had a little dip in the mid treble. The B1 felt like it was brighter to me, with crisper treble than the TVC. Porkfriedpork said B1 was warmer. Our observations seem in contradiction, at least superficially, but I agree that the B1 sounded warmer or maybe richer for particular instruments (maybe some 2nd order distortion on B1 or, conversely, some 3rd order on TVC?). There was some loss of subbass amplitude with both B1 and TVC—maybe 2dB @ 20 Hz. The capacitor-free version would probably fix that but at what cost is unclear. All of these effects are pretty darn small—overall presentation changes were much smaller than the differences between DACs, for example. We noticed an odd effect where the stage on the Soekris appeared to get bigger when the volume was around -30. This larger stage survived passing through the B1, suggesting the B1 does not kill stage. This was not a small effect, but why the Soekris should do this is beyond our comprehension. We did not test for this specifically with the TVC, but we also did not notice it, suggesting either (1) TVC does hurt stage or (2) B1 hurts stage only when the volume is turned down. Given how the B1 operates, however, I seriously doubt theory 2: everything is always getting the exact same gain all the time in B1. I’m inclined to think it’s a Soekris effect that we failed to notice on TVC. In separate listening tests carried out with by @Bebop, he had PS Audio Direct Stream (snowmass) and Pass XA30.8 to BW 801 series III, he said, “I don’t hear any difference” with the B1 vs. using DirectStream's volume control. The 801s are not ultra resolving, however. The B1 does have a bit of gain as built, giving you a bit more room to control signals. I like that the TVC is fully passive, but of course it doesn’t have a remote control. Conclusion—both make the volume adjustable, neither will f*ck your sound much. But neither is perfectly transparent either. recstar24, LetMeBeFrank, porkfriedpork and 4 others like this. Informational update for DIYers. I swapped out the 10uF Audyn Reference (white) caps for Jantzen Alumen-Z. I felt the Audyn were a bit bright, but the Alumen-Z just sound muddy. Not recommend. Will put the Audyn back. Would jupiters work? Maybe try to borrow/extort a pair from someone. I had a pass b1 with mundorf zn caps. its a very good pre amp, but I did notice a very slight loss of detail and transients, maybe my impressions were placebo. it will not ruin a system, but i prefer using a integrated amp/headamp with already built in VC just to save a IC's. I have been more impressed by the korg B1 than I was expecting to be. It is so good that I plan to case it up properly for use as a fully integrated pre. Original plan was just a simple in out that could go on tour if needed. That would be nice. I’m sort of sick of spending $100+ for a pair of capacitors just to try. If anybody wants to lend a pair of 10uF caps, I’m up for it! Likewise, 10 and 3uF Alumen-Z are available to borrow for anyone having glare issues in their crossovers. I don’t recommend them as coupling caps. Interesting, dB. If you’d like to do a temporary exchange just to hear what’s what, I’d be happy to swap for a week. Especially this month since I have another pre-amp in the house. I just have a volume pot dangling out of the front of it, so it needs a little more lovin before it is respectable . I built up a muses volume controller but it needs dual 15v rails which necessitates a new chassis anyway. Perhaps if I can make it functional before the major overhaul I can send it over. zerodeefex and skem like this. I think that’s accurate. I also feel transients are softer. The extent to which does seem capacitor specific, howeve. I admidt to finding this a theoretical puzzle. Not sure if I'm missing it, but how do these compare with the digital volume control on the 1541? I think the cap is the culprit as well as the additional Ic's. I skipped DCB1 since it has more active components—but I would be open to hearing it. Not sure if I’m up to building it just because I have a lot of projects going at once. 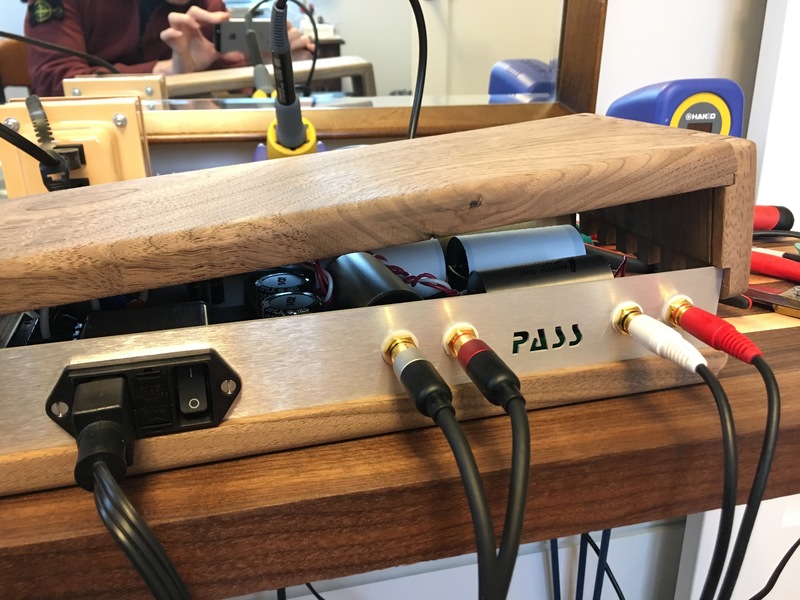 Finally got around to measuring the frequency response of the Pass B1 and the SILK audio passive TVC. These are impulse response fourier transforms. The Pass B1 has the original Audyn White Reference caps. I removed the Alumen-Z previously mentioned. TVC is set at 50% volume. Pass is set around unity gain. It's interesting to see that the transformer has quite a lot of resonance structure (not that this should be audible in terms of FR, but interesting to ponder the implications for transient response). In my listening test I said the Pass B1 was brighter. Now we see why: the TVC is pretty rolled off in the treble. The B1 is capacitively coupled, but I can't detect any roll off on the low end, even at 10Hz (not shown), to the extent my FFT can resolve down that low. Does anyone know what the spuria on the Pass FR are? 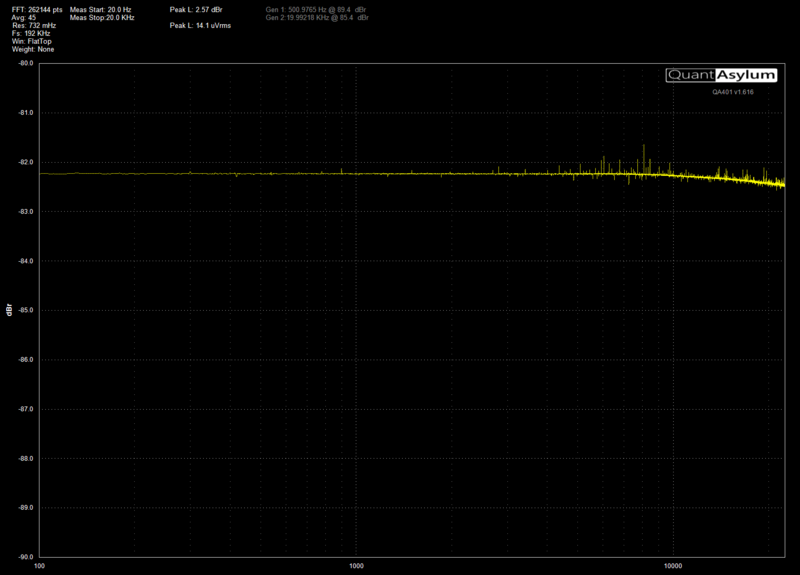 I'm guessing noise from the power supply that I still haven't dealt with (but will). MrTeaRex, porkfriedpork, Zampotech and 1 other person like this.